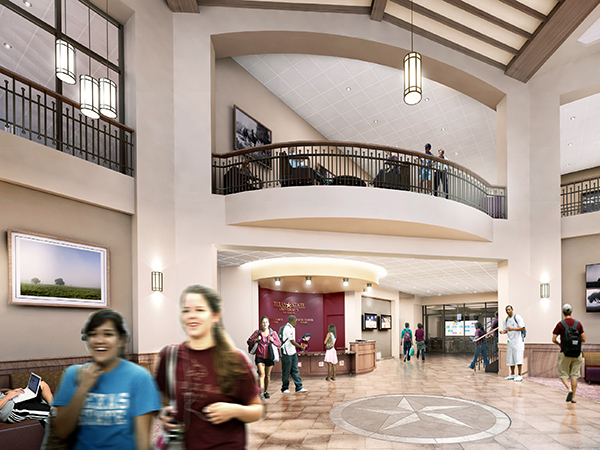 The three-building, 578-bed student housing project supports Texas State University’s growing undergraduate population. 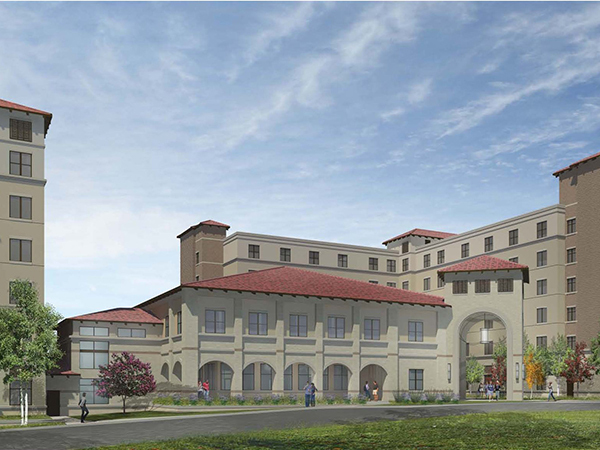 The two 6-story residence halls have room configurations that include two bedrooms and an adjoining bath. Each hall also includes a social lounge with kitchenette, study room and two informal spaces per floor. The residence halls are designed of structural light gauge framing. In addition the project includes a two-story, 19,000 sf community building which will provide a multi-purpose room, two seminar rooms, three study rooms, art lab study space, two living rooms, and two open informal spaces for study or socializing.